Do you still have some questions or concerns about what to expect when attending the workshop? Below is a list of my Frequently Asked Questions. If you don’t find your question or answer here, feel free to contact me at the link below. Thank-you for your interest! Q: Why should we attend a Getting the Love You Want Workshop? A: This workshop has often been compared to 6 months of weekly 90-minute Imago Therapy sessions, and is one of the most important gifts you can give your relationship! During the 2 workshop days, you are immersed in transformative relationship experiences that have the potential to change you and your partner forever! For most couples, the workshop will help you reconnect and, once again, feel the love that you may be wondering if you had lost over the years. Most partners will not be the same two people they were, walking in the door, as they will be when they leave. Finally, because this experience cannot be duplicated in weekly therapy sessions, I encourage you to do what you need to do to make it possible to attend! Q: How many couples have attended the Getting the Love You Want Workshop since it began, and how did it come about? A: Tens of thousands of couples worldwide have attended the Imago Weekend Workshop for Couples over the past 27 years. It is called “Getting the Love You Want” because it is based on the NY TIMES BEST SELLER of the same title, written by Harville Hendrix, Phd, who developed this workshop over a 16 year period. Additionally, Dr. Hendrix has been a guest on the Oprah Winfrey show many times! Q: What will we learn in the Workshop? A: You are about to embark upon the beginning of a Journey, and this Workshop is your Map. When the workshop is over, you will leave with new understandings about yourselves, each other, as well as how you can create a deeply satisfying and long-lasting relationship with your partner. The Journey really never ends, but you will have learned skills that can help the two of you achieve the kind of relationship that you have probably always dreamed of having. Through exercises that you share privately with each other, you will explore some of your history and learn how it influences why you chose each other, as well as the reason you may both be drawn into a Power Struggle. In fact, you will learn that the Power Struggle is a normal, natural and necessary part of a committed relationship, as well as an opportunity for both Partners to become more mature, loving and healthy. You will also learn that hidden deep within your disagreements, are important clues about how you can transform your love into something more meaningful, rich and more lasting. However, in order to accomplish this goal, you must know and practice vital skills that you will also learn. Finally, the last part of the workshop helps you discover ways to make sure your lives are full of fun, caring and romance. By the end of the workshop, most couples leave feeling far more positive about the future of their relationship, as well as each other! Q: What happens in the workshop? A: During the workshop I will teach you how to use various Imago Dialogues and other skills. These are powerful approaches to explore issues and restore lost connection. You will watch couples who have volunteered to receive coaching in these Dialogues, and you will see the impact that Dialoging has upon them. Then you and your partner will be given time to practice privately and apply them in your own relationship. And don’t worry! If you get stuck, there’s always help close by! Finally, I have recently updated the workshop and added many fun, romantic and sensitive touches to enhance your learning and your experience! A: I often hear this concern from couples who are uncomfortable revealing personal information in front of others. That’s why the workshop is structured so that you can do your own personal work privately with your partner and just share with the group, if you feel comfortable doing so. I’ve also learned over the years that one of the most inspiring elements of the workshop is to see other couples going through the Imago processes during the demonstration and to hear their stories. You suddenly realize that you are NOT alone! A: This is also a very common concern I hear from many couples. I have found we usually figure out how to pay for things that are important to us, but when you compare the cost of the workshop to the cost of 6 months of weekly, 90-sessions of couples’ therapy, even with the hotel, meals and workshop fee, it’s about $2500 less! Additionally, while most couples still need therapy, they will make much faster and more progress after attending. If you qualify for PayPal Credit, they offer a 6-months, NO Payment, NO Interest credit plan. Finally, if your marriage doesn’t survive, how much will a divorce cost and how will it affect your kids? Never-the-less, I don’t want a lack of finances STOP ANYONE from attending, so please contact me, and together, we will work something out to make it affordable for you! I also occasionally have partial scholarships available. 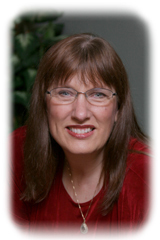 ABOUT CAROL: Carol has been married over 46 years and a Licensed Marriage & Family Therapist for over 24 years. Over the years, as a Certified Imago Relationship Therapist & Workshop Presenter, she has helped thousands find, create and keep the Relationship of their DREAMS! Carol has now retired her Private Practice as a Therapist and continues her work as a Relationship Coach so she can offer services without the stigma of having to be diagnosed with a Mental Disorder! Why not let Carol help YOU Begin the Journey to the Relationship of your Dreams? *DISCLAIMER: Results may vary depending on individual factors, such as open-mindedness, motivation and other personal circumstances. While there are no guarantees associated with this workshop, couples who actively practice the skills they learn, on a regular basis, typically show positive and lasting results, similar to those described here. If you have questions or concerns, please contact Carol directly to discuss them at the “Contact” link above.